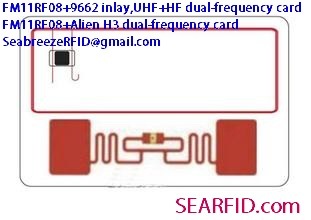 This is FM11RF08 and Alien H3 RFID inlay encapsulation together UHF+HF dual-frequency cards, you can read both frequencies simultaneously. 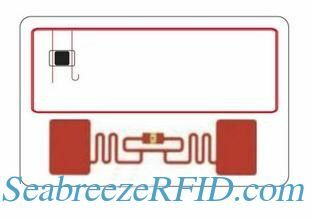 Using frequency-hopping mode, a super anti-interferenceg capability, the user can customize the read and write standards data, so that the efficiency of application system of specialized more quickly, reading from 8 meters or more. 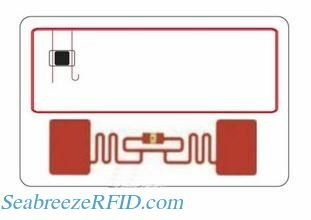 1024bits memory capacity, the only global 64 bits ID number, ultra wide band design, Not only in accordance with the relevant provisions of the industry, but also for the development of flexible application, can simultaneously read multiple tags ( up to 50/sec or more ), not by the amount of work area tags constraints and the impact, 928bits encrypted storage area for users to read, write, erase write operation, also opens the specified permanent dedicated word area dedicated to the user.